Why fish Langara Island, Haida Gwaii? In Salmon fishing, as in the retail trade, the first rule is “location, location, location.” For that reason we made our home at the crossroads of the migration routes for most maturing Salmon returning to spawn in the rivers and streams of either the mainland coast, or Vancouver Island. 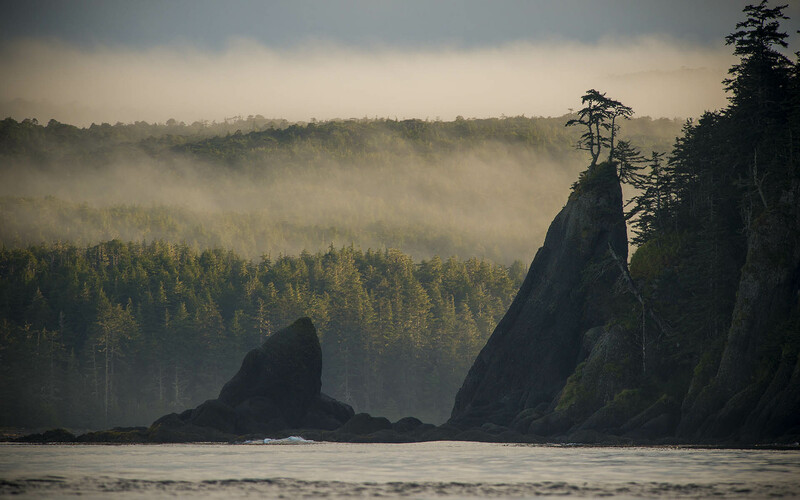 Langara Island punctuates the Gulf of Alaska, where all species of Salmon roam to maturity over their life cycles. It is the only point on the entire migration odyssey which literally millions of Salmon must pass on their appointment with nature. No other location, on either coast, sees a fraction of the numbers of Salmon that pass our door each season. Since the total run divides at Langara, any fishery south of the island will at best have access to half the run. No wonder our catch levels are consistently high. 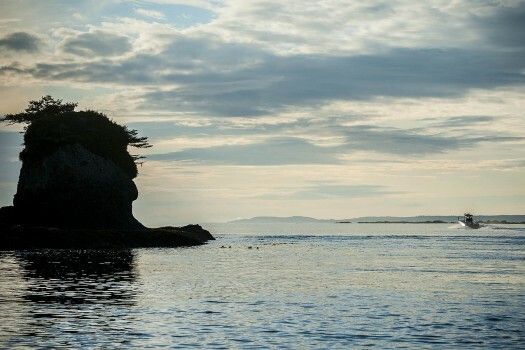 Langara Island is small enough to give anglers the luxury of short runs to the fishing grounds, and due to the fact that it is an island, there is always a leeward side and several protected bays for calm-water fishing when the weather kicks up. Another advantage of its size is that Langara Island can be circumnavigated easily during a morning or afternoon of fishing. Anglers can slip out through the Lucy Island channel to try their luck at hot spots like Bruin Bay, Cohoe Point, Andrews Point, McPherson Point, Langara Rocks, the Lighthouse, and then back into Parry Pass to The Clubhouse or North Island Lodge dock in time for lunch or dinner. Langara Island gives our guests access to all types of Salmon, Halibut, and a variety of bottom fish including Lingcod and Snapper. Although the highly esteemed Chinook (also known as Spring or King Salmon) is the big boy and the Coho (also known as Silver) is the aerial champ, there are also tenacious Chum, feisty Pink and the illustrious Sockeye to target. 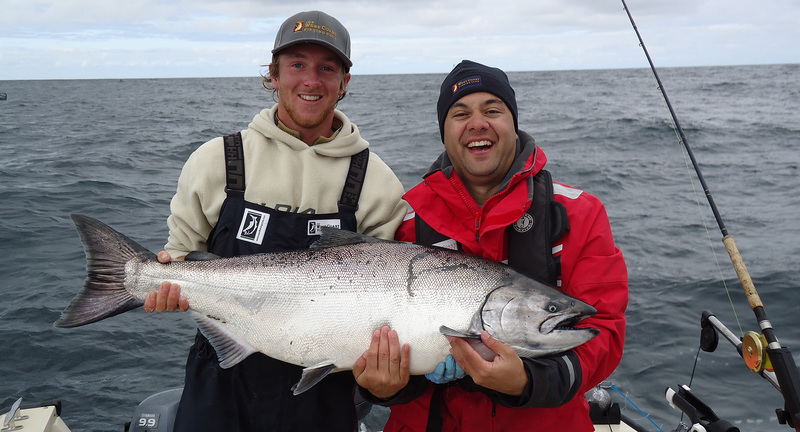 What makes Langara great for sport fishing is that it has pristine habitat that produces huge schools of herring and other bait fish to hold migrating Salmon in the area while they ferociously feed in preparation for their journey to their natal rivers and streams to spawn. It is the same reason that Halibut fishing and other bottom fishing are so excellent here, with the Langara Island marine ecosystem offering a rich abundance of nutrients for all levels of the food chain. Nearly all Salmon returning from the icy waters of the North Pacific make a stopover for a final feeding binge in waters around Langara Island – regardless of their river of origin – before continuing their journey home. When these huge schools arrive at Langara Island it’s the first time they’ve been on the continental shelf since they headed out to roam the vastness of the Pacific. They are at the very pinnacle of conditioning and strength. This is evident in their fight. How is Port Louis fishing different than Langara Island? Fishing out of The Outpost is the most unique experience on the entire coast because there are no neighbors 40 km to the north or 20 km to the south, meaning that for the majority of the best spots, The Outpost’s seven boats have the entire marine wilderness area to themselves. 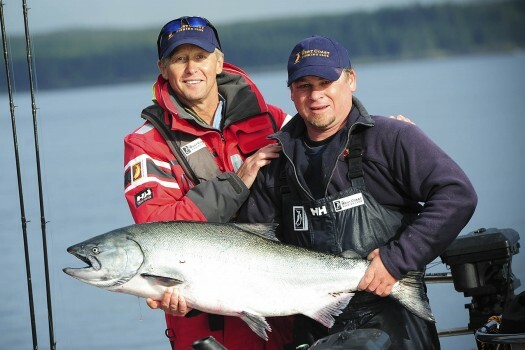 This rare experience simply cannot be duplicated by any other lodge on the remote western edge of Haida Gwaii. The Outpost fishing grounds are renowned for giving guests access to unlimited runs of Chinook and Coho that travel through this region all season long on their migratory routes home to their natal rivers and streams. Not only do an inordinate number of fish pass through, but the seabed drops sharply in many places to create deep holes where bait congregates and keeps the migrating Salmon in the feeding grounds for extended periods. The result is that The Outpost produces as many fish as Langara Island. The Outpost is renowned for the best bottom fishing for Halibut, Lingcod and Snapper because it is situated directly on the edge of the continental shelf and is closer to the feeding ground of monster Halibut.